It’s hard to believe that nine years have passed since I released my second Alex Bellamy mystery, Fatal Encryption in 2008. The book first appeared in paperback, then a couple of years later in ebook format. After that, I landed a contract with traditional publisher, TouchWood Editions, who released four of my Casey Holland mysteries. Working with TouchWood was an interesting, eye-opening experience and, although they helped me in many ways, we’ve now parted amicably. I’m now ready to publish the fifth Casey mystery, Knock Knock, myself. It’s really interesting to compare how my self-publishing experience has changed from 2008 to 2017. First, what’s stayed the same? Hiring a good editor and jacket designer, for one thing. 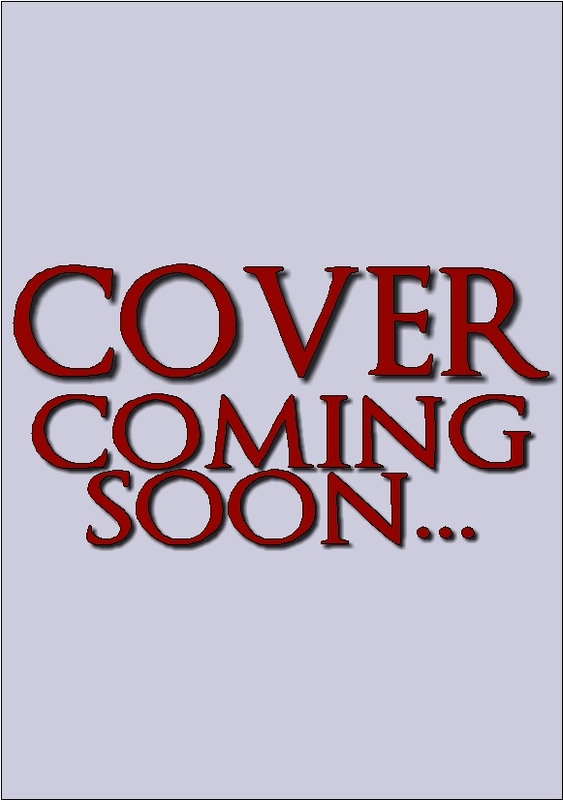 In my last post, I discussed my dilemma about choosing an image for the jacket cover. I’ve now found an experienced jacket designer, whose work and price I like, and who was recommended to me by a colleague. At the moment, I’m in the process of completing a detailed questionnaire about the book to give their designers a clear idea of what’s been done, and what should be done. I’ll plan some sort of launch as I did with Fatal Encryption. I have a venue in mind for a possible fall release, but details needs to be ironed out. I’ll tell you what else stays the same…preparing a detailed, to-do list that includes acquiring an ISBN, preparing front and back matter, and the crucially important back cover blurb. So, what’s changed? Again, based on the recommendation of several colleagues, I’ll be publishing through CreateSpace this time instead of a local printing service, and ordering far fewer copies at a time than I did with Fatal Encryption. Although, I’ll be seeking review requests, as I did last time, back in 2008, I spent a small fortune mailing copies of what was a fairly large book to interested reviewers. This time, I’ll send PDFs; reviewers seem to prefer them anyway. My marketing plan will also be different, but we’ll get to that in later posts. Meanwhile, I need to finish the final edit before handing it over to my editor next month. Production is underway! It’s an exciting time. Some writers feel that their characters are autonomous; they speak and act on their own, and the author just follows them around and writes things down. Yes, your characters have to seem to be autonomous. Your characters have to seem to speak and act spontaneously, out of their own inner realities. But I see myself as more of a director than a biographer. If I need for a character to say something or do something and the character -- in my imagination, now, they don't actually speak to me; I may be odd, but I'm not a practitioner of alternate sanity .... I lost my place. Oh, yeah: If I need for a character to say something or do something and the character is all like, "I just don't feel that. What's my motivation?" then I'm all like, "Fair enough. Let's talk about that." See, I don't like pushy characters (with the obvious exception of Bud Blossom), but I don't like sock puppets, either: characters who obviously speak and act at the writer's will. You know the kind where you go, "I can see why the author wanted her to steal the secret code and plans, but I don't understand why she wanted to." Get all evil wit' it and plant false memories so they believe they have motive. By which I actually mean, tweak their backstory. That's one reason I like to leave backstory a bit vague, so I can fill it in as I need it. Also lazy. CHARACTER: "But I'm not afraid of dogs! I love dogs!" ME: "You don't love ... um ... red dogs. Yeah, see this dog is red. 'Member when that red dog knocked you down and bit you on the chin when you were two?" ME: "Blocked it out. That's how traumatic it was." CHARACTER: "Oh, yeah. Big red dogs. I always cried when the teacher read a CLIFFORD book." ME: "Right. Right. So sad. Poor baby. Ready for the scene, now?" Some writers work out the backstory, characters, and plotlines ahead of time, so they don't run into this sort of thing. Me, that much planning doesn't work for. Neither does just going with the flow. Not a plotter, not a pantser, I call myself a panther. I outline enough to get me through the story, but leave things loosey-goosey enough that, if something more interesting than what I have planned comes along, I can pounce on it like a hungry panther. Oh, and Bud? It's the cattle prod and the cow dogs for Bud. YES, I'M TALKING ABOUT YOU AGAIN. YOU ALWAYS MANAGE, DON'T YOU? ~sigh~ It isn't easy being me. I was in the mall this week, looking at all the winter clearance sale racks. It’s something I don’t do often, mainly because the many choices in department stores make my head spin. I’m better suited to the smaller boutiques, where there are maybe 40 racks instead of 90. 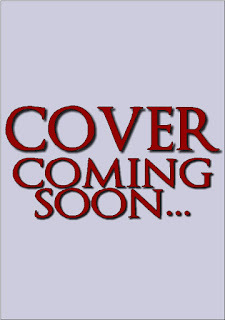 I’m discovering that the same is true when it comes to choosing a suitable book jacket image for my fifth Casey Holland mystery, and this is causing me a great dilemma. Even by using key words, there are thousands upon thousands of images to go through. I remember doing this when I chose the cover for Fatal Encryption back in 2008, and it took a long time. But I was very clear about the image I wanted, a decision I don’t regret to this day. The cover for this book is a little more complicated, which adds to my dilemma. Knock Knock is a story about a group of vicious home invasions that have been targeting seniors, many of whom also ride a particular Vancouver bus. Since my protagonist is a transit security officer for a bus company called Mainland, Public Transport, each cover has a bus related theme on the cover. They were designed by the in-house designer of my former publisher. This time, a large part of the story takes place in residences. Thus, the second dilemma. Searching under the categories of mystery, home invasion, homes, and buses has presented some interesting images, and the choices are beginning to make my head spin. To save costs and time, I was hoping to choose an image before I hire a jacket designer, but I’m now wondering if I should simply leave it to the expert. Incidentally, I’m also intending to produce a Casey novella this year, the title of which is Man in a Gold Satin Thong. Really, the cover’s a no-brainer for that one, don’t you think? If anyone has any suggestions to assist me in my search, please let me know! Thanks! The Deep End 2nd Edition Released! At last, my fourth Casey Holland mystery, The Deep End, has been reissued in ebook format! This means that I’m finally caught up on reissuing previously published books and can now look forward to releasing new titles. The 5th Casey installment, Knock Knock will appear later in 2017, along with a brand new Casey Holland novella! I also have a couple of local gift stores selling the paperback version, which you can find on the homepage of my website. Transit security officer Casey Holland is surrounded by troublesome teens—her thirteen-year-old ward is dating a manipulative boy, a group of juvenile shoplifters attack her on the job, and during her first volunteer shift at a youth custody center, she is shocked to find a friend’s grandson, Justin, inside. Shock turns to horror when the facility’s director suffers a fatal heart attack in front of her. A second death and rumors of illegal activity at the correctional facility make Casey wonder whether Justin is partly responsible or potentially in danger. As Casey fights to protect her ward, her friends, and the youths at the center, escalating violence threatens to change her life forever. Who will live and who will die? 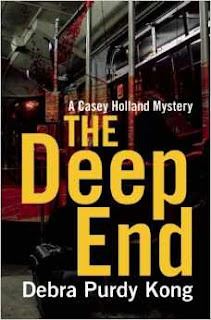 The Deep End, the fourth installment of the Casey Holland mystery series, will have you compulsively turning its pages until the explosive conclusion.